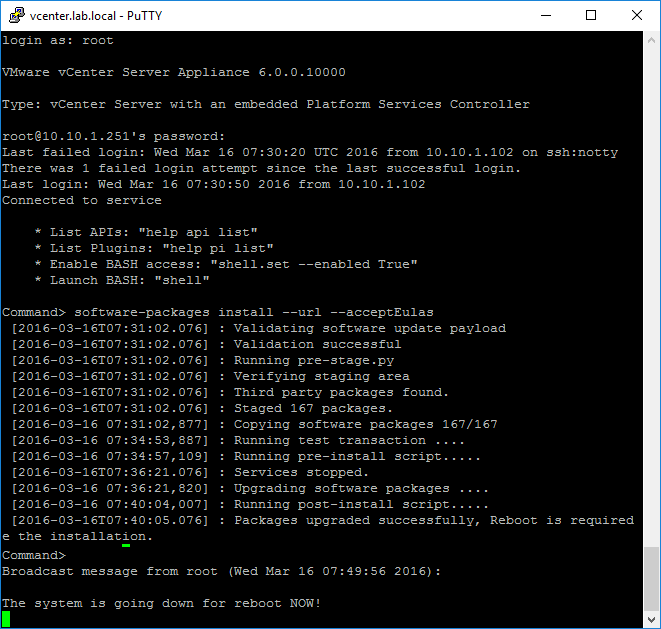 if you just want to see the super easy update via CLI steps or VAMI web UI, jump below. If you're using VCSA 6.0, Update 1 introduced the new Appliance Management Interface. Think re-incarnated Virtual Appliance Management Interface (VAMI), from those 5.5 days of yore, that Web UI you get when you access your VCSA via port 5480. Yep, it has an Update button. That upgrade method didn't work for me though, when I tried it last time around, trying to get to 6.0U1b. It says it downloaded the code, but didn't actually apply it. I didn't dwell on it though. I just nuked VCSA and redeployed it. In VAMI on the last VCSA release, I was getting the "Packages Already Staged" message, but it never actually applied them. 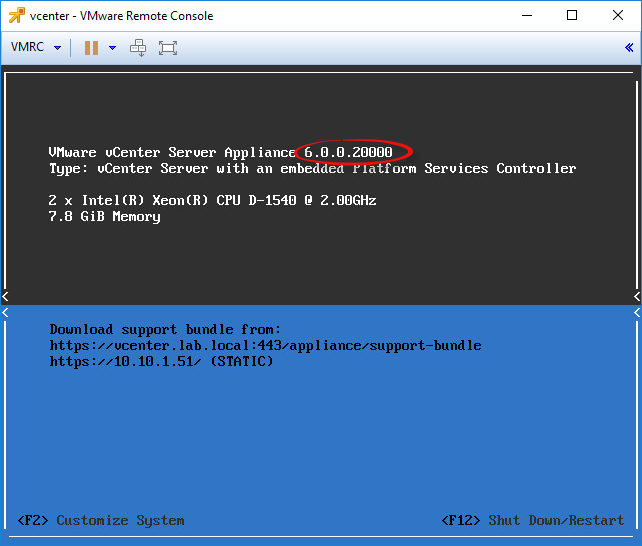 You are supposed to update your vCenter Server Appliance (VCSA) before you update your ESXi hosts, as VMware explains here, and William Lam here. By the way, I type it as VCSA instead of VCSA, just because that's how it's capitalized in the VMware vCenter Server 6.0 Update 2 Release Notes. Download and apply the VCSA 6.0 Update 2 patch directly from the VMware Online Depot, all in one simple command! There was 1 failed login attempt since the last successful login. [2016-03-16T07:31:02.076] : Third party packages found. [2016-03-16T07:31:02.076] : Staged 167 packages. [2016-03-16T07:40:05.076] : **Packages upgraded successfully**, Reboot is required e the installation. Here's how my upgrade from 6.0.0.10000 [Build 3018523] to 6.0.0.20000 [Build 3634788] looked after the successful 6 minute download/patch, when I requested the host reboot through the vSphere Web Client. Once everything is booted back up and VCSA has had a good long while to start all its services (even with an SSD, that can be 10 minutes), it's a good idea to also test login using the vSphere Client and the vSphere Web Client, and be sure everything seems to be working right in that shiny new VCSA. If you created a snapshot back in step one, if you're comfortable that everything is working in 6.0.0.20000 (which is seen as Build 3634788 in the vSphere Client and vSphere Web Client), you may want to go ahead and delete snapshot(s). 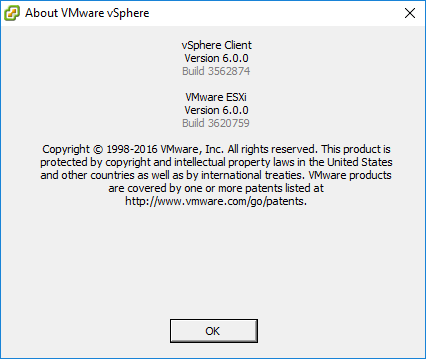 How to update your VMware vCenter server to VCSA 6.0 Update 1b the easy way, same exact technique is used for Update 2, it's even the same command! so I would expect future articles about upgrading VCSA to put more emphasis on the friendly VAMI method than the CLI method. My article was published just a few hours after VCSA was released. I've now received further clarification that stuck VAMI issues have been fixed for everybody, regardless of what VCSA version you're on. So as William said yesterday, folks really do have a choice between VAMI and CLI, and both methods are now quite easy. and you get nice status updates along the way. So lesson learned, I've downed the humble pie, and updated the article above, notating the VAMI fix. @paulbraren @lamw @Emad_Younis Just to clarify, Paul, you don’t need to be on U2 for the fix. The U2 installer has the fix. An important heads-up for users of the Embedded Host Client! With the release of ESXi 6.0 Update 2 it is now an officially supported package that is included in ESXi out-of-the-box. In its Release Notes it is stated though that the EHC package will be further developed independently from ESXi releases, so we will see out-of-band updates to it in the future - just like with VMware Tools. Second great news is that the EHC now fully supports ESXi when using the free Hypervisor license. Andreas goes on to explain that you may have issues if you already had the EHC (Embedded Host Client) installed prior to upgrading, I encourage you to read his entire article for details.